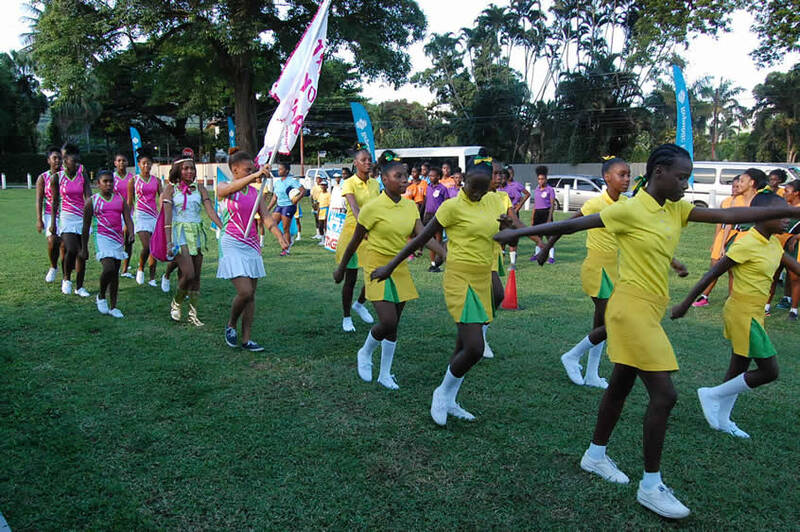 On parade: A snap shot of some of the teams, as they parade in their splendour before the judges at the launch of the Republic Bank Laventille Netball League. The League was launched recently at the Nelson Mandela Park, St. Clair. Teams from within the Laventille area and environs will participate in the League, which runs for a period of three months. 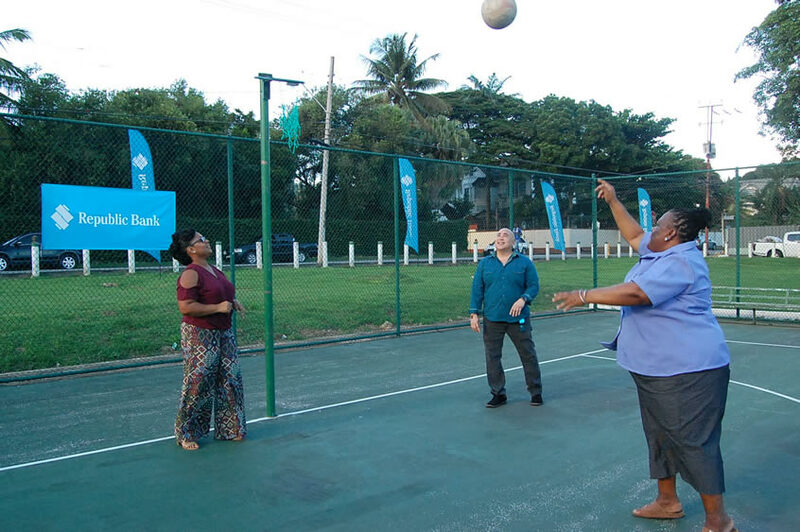 Look at that shot: Lily Stapleton , Secretary of the Republic Bank Laventille Netball League, shoots a hoop at the launch of the Republic Bank Laventille Netball League, held recently at the Nelson Mandela Park. Looking on are Republic Bank’s General Manager, Group Enterprise Risk, Anthony Subero and Councillor for Laventille East/Morvant, Adanna Gordon-Griffith.